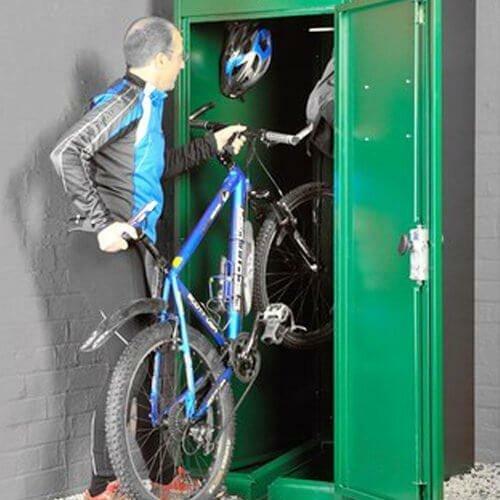 Our vertical bike locker is a highly space efficient storage option, storing the bike on its back wheel frees up valuable floor space. A guide ramp and wheel retaining clamp give easy access for users. See our single cycle locker for a horizontal format.